This book is basically Harry Potter but way more honest about the child endangerment aspect, and in West Africa. It also integrates the magical training (and the world of the Leopard People) far more into the non-magical world. Hogwarts always feels like it’s in some alternate reality, but the Leopard People’s community is hidden in plain sight, and more concerned with the affairs of the rest of the world. 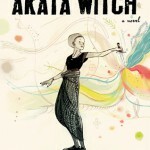 I don’t mean the HP comparison to call Akata Witch a rip-off or unoriginal–neither of those things are true at all. 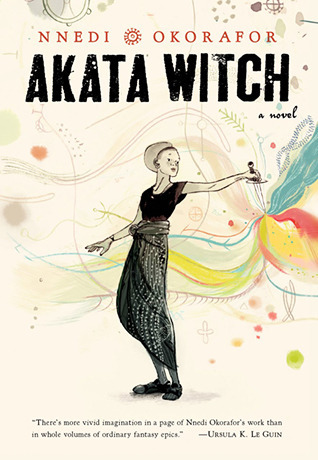 It’s a favorable comparison, in that Akata Witch is also about training children with powers who belong to a different community, but handles a lot of issues in a much more interesting way. Instead of being at a magical boarding school, for example, Sunny struggles to balance her actual school with her Leopard People training, all while hiding her powers and her training from her family. Sunny’s attempts to reconcile being true to who she is while protecting her family–and her place in it–is so grounded in the actual experiences of many teenagers, especially those who are very different from their families and fear rejection from them. The other Leopard People students fully feel like the middle schoolers they are, and the narrative is acutely aware of the dangers they experience. The world-building is also fantastic. I like how the community of Leopard People is explained to Sunny early on, as well as the international component. Having Sunny and Sasha both be African-American really helps in establishing a larger system of people with powers. This is the first in a series, and I really hope the later books will explore that element. I really recommend this book, especially for someone looking for a non-European based fantasy. I’m using this as a choice in my hero tale themed literature circles, and I’m so excited for the group that will be reading it. In addition to being great for a hero tale unit, this book would also be good to explore West African folklore (which is referenced frequently). The book would also go well alongside an American History unit on slavery or Civil Rights, or a World History unit on West African kingdoms.